Apparently it's spring, but judging by the weather (-14C right now, -31C windchill - March 31), it's still very much winter, with no true sign of spring in sight - Amsterdam has brought out a new beer for us Manitobans to finally try, Amsterdam Spring Bock Doppelbock. 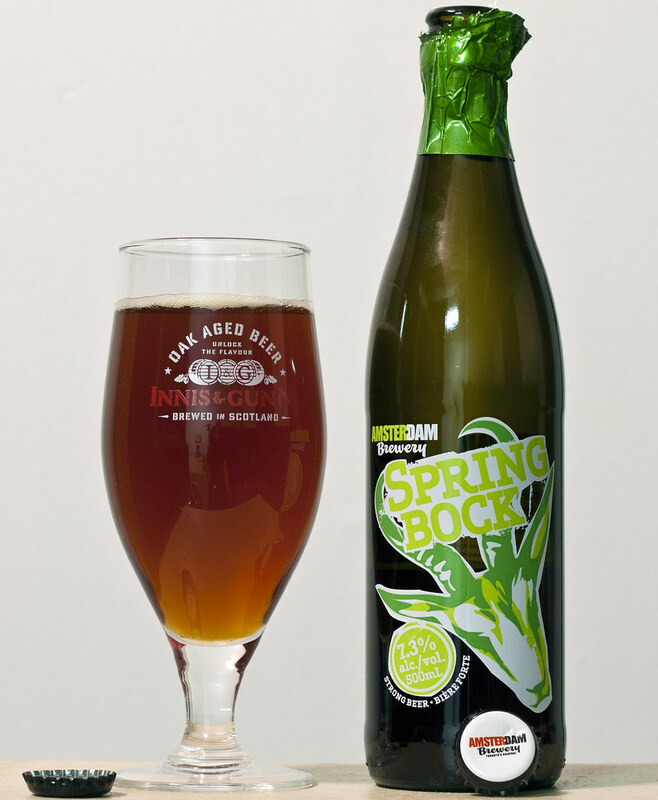 Amsterdam states that the Spring Bock is aged for 6 weeks - which is 3x longer than regular lagers and uses seven types of malt to give it a great mahogany colour. It's a bit pricey at $5.00 for a 500mL bottle, compared to $3ish for their canned beers Big Wheel and Natural Blonde Lager, but obviously Spring Bock is brewed in smaller batches, for longer periods of time, that and shipping costs of glass is costlier than cans (especially when it's special made painted 500mL bottles). Appearance: A rich reddish cherrywood with hues of caramel, decent amount of carbonation yet minimal head, just some yellowish-beige foam that's gracing the side of the glass. Aroma: Reminiscent of a combination of Amsterdam's Big Wheel Amber meets Big Rock's Traditional Ale, it has a bit of a certain amber ale maltiness to it, some caramel notes, a bit of a fresh grassy aroma and some light hop notes. 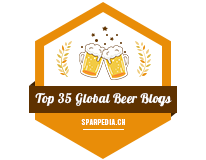 Taste: First impression is a bit of a bitter and dryness to it, a bit of a grassy bitterness from the hops that reminds me of common German lagers and bocks. A bit of an alcohol bite to it, notes of raisins and other dark fruits, brown sugar and a flavour that's reminiscent, again of Big Rock's Traditional Ale.